Sometimes when a new toner is installed in a Brother HL-4150CDN the reset switch isn’t triggered and the toner counter doesn’t get reset. Brother printers are known for their poor set up in regards to detecting new cartridges. The Brother inkjet printers are exactly the same. To try and avoid this happening make sure that you only ever replace cartridges when you are prompted to and never replace a cartridge with the printer turned off. 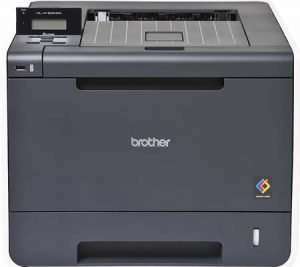 Open the front cover of your Brother HL-4150CDN laser printer where you can access its toner cartridges. Press the Cancel & Secure Print buttons at the same time to see the toner menus on the screen. Press the “+” or “-” to select the toners you need to reset. Press “OK” to reset the selected toner cartridge. Repeat for each toner cartridges colour as required. If the problem still persists then unplug the printer from the wall for at least 20 minutes and then when you plug it back in it will be forced to redetect the cartridges.